Laura Lockhart is retiring from the Utah Attorney General’s Office after 30 years of service. SALT LAKE CITY February 15, 2017 – After 30 years with the Utah Attorney General’s Office, Laura Lockhart will retire this month. Laura was honored by a reception at the Department of Environmental Quality, where she has been the state-agency counsel for many years. 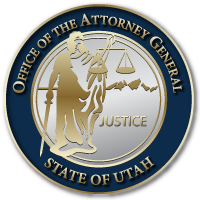 “Laura has been an amazing asset to Utah and the Utah Attorney General’s office, where she has served as a tireless public servant over a distinguished legal career. Additionally, Laura has been a steady and guiding hand in the development and implementation of our state open records laws, helping our office navigate the difficult balance of transparency and privacy while also fulfilling our mission to provide the outstanding legal services to our state clients. Laura has represented the Utah Department of Environmental Quality for thirty years. She has worked primarily the Division of Radiation Control and Water Quality, but also specializes in administrative procedures and government records law. Laura is a graduate of the University of Utah and attended law school at Yale. In addition to her duties at the DEQ, Laura has always gone above and beyond in sharing her time and expertise assisting other attorneys in the Utah Attorney General’s Office with requests under the Utah Government Records Management Act, or GRAMA, and has always been deeply committed to government openness and accountability. Several colleagues expressed their appreciation for Laura when they heard she was retiring, including Blaine Ferguson, who worked closely with Laura on GRAMA. “Laura is one of the most loyal and dedicated public servants I have ever known,” said Blaine Ferguson. “When the “call to arms” is heard, she willingly offers her help, even if she is already busy with a heavy workload and the timing is inconvenient. Furthermore, because of her commitment to public service, she has often volunteered to take on projects on her own initiative. She is one of those good persons who sees a need and then addresses it, without being asked. Even when a task is difficult or awkward, Laura accepts it without flinching, because she sincerely cares about the Attorney General’s Office, her clients, and the interests of the people of Utah. “Laura has had a long and honorable career in the Attorney General’s Office. Assigned to advise and represent the Department of Environment Quality, she has provided faithful service to her client agency through many challenging times. But that has only been her “day job.” Somehow she has always found time (often well into the evening) to serve in other areas, particularly in the legal minefield of government records law. She was a key player in drafting Utah’s original Government Records Access and Management Act (GRAMA), and the proper classification and handling of government records has continued to be one of her passions for over 25 years. Laura is also an amateur astronomer, photographer, and an avid bird watcher, or birder, and has served on the Tracy Aviary board. In addition, Laura was one of the founding members of the Open Classroom community school. Laura is a devoted mom to her daughter Maisie and constant companion to her canine friends. This entry was posted in Recent Posts and last updated on February 15, 2017 .